through learning to play the harp! I continue to delight in the journey of music, creative expression and life that has come to me through playing the harp over the nearly 40 years. This Summer you can begin your own music/harp/life journey, exploring and experiencing the delight of making music through learning to play the harp! yourself, life, the Universe and everything! 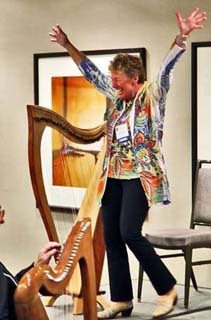 Explore integrating harp music into mindful, meditative practices. ~ Your very own harp - yes, to keep! ~ The class fee is $550. ~ The balance of $250 is due by July 10. ~ Adding harp music to your meditative practices. Register now to reserve your spot on a joyous new adventure! To insure a quality experience for each student class size is limited. Questions? Please feel free to contact me at booking@adkharper.com. 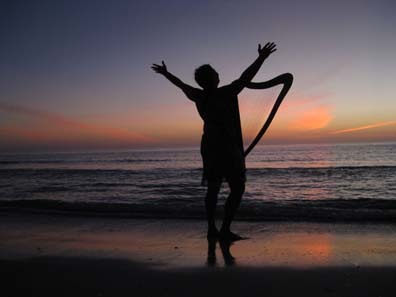 Experience the joyful journey of Your Harp’s Delight!